^ 郭廷以. 中華民族發展簡史. 國防部總政治部. 1953 [26 October 2012]. ^ 费孝通. 中华民族多元一体格局. 中央民族大学出版社. 1999 [26 October 2012]. ^ 3.0 3.1 Suisheng Zhao. A Nation-State by Construction: Dynamics of Modern Chinese Nationalism. Stanford University Press. 8 September 2004: 79– [26 October 2012]. ISBN 978-0-8047-5001-1. ^ 4.0 4.1 Yongnian Zheng. Discovering Chinese Nationalism in China: Modernization, Identity, and International Relations. Cambridge University Press. 28 April 1999: 21– [26 October 2012]. ISBN 978-0-521-64590-4. ^ 5.0 5.1 5.2 Yongnian Zheng. Globalization and State Transformation in China. Cambridge University Press. 11 December 2003: 48– [26 October 2012]. ISBN 978-0-521-53750-6. ^ 中華民國教育部. 民族與國家 / 從驅逐韃虜到五族共和- 近代中華民族的想像與建構 / 想像的共同體：「中華民族」 / 西方民族主義對中國的影響. 歷史文化學習網. [26 October 2012]. （原始内容存档于2012年12月22日）. ^ 吳天泰. 族群與社會. 五南圖書出版股份有限公司. 2006: 305– [15 February 2013]. ISBN 978-957-11-4175-6. ^ 当代中囯凝聚力大典. 红旗出版社. 1997 [15 February 2013]. ^ 許倬雲. 我者與他者: 中國歷史上的內外分際. Chinese University Press. 2009 [26 October 2012]. ISBN 978-962-996-415-3. ^ Hughes, Christopher. 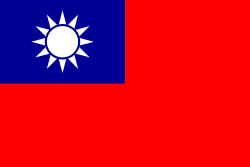 Taiwan and Chinese nationalism: National identity and status in international society. London: Routledge. : 3 . ISBN 0415157684 （英语）. The very term minzu... was only introduced into the Chinese vocabulary in 1899 by the constitutional reformer Liang Qichao (1873-1929) (Minzu cidian 1987). The Chinese term for nationalism (minzu zhuyi) was probably also used first by Liang, in 1901. ^ 李喜所. 梁啟超是提出"中華民族"稱謂的第一人 [此名詞"中華民族"稱謂的第一人]. 人民網. 2006年2月  （中文（中国大陆）‎）. ^ 芮逸夫. 〈中華國族解〉. 《中國民族及其文化論稿》，上冊. 台北: 藝文印書館. : 4  （中文（台灣）‎）. ^ 44.0 44.1 孫中山. 1920年11月在上海國民黨本部會議. 孫中山全集第1卷. 中華書局. : 394  （中文（台灣）‎）. ^ 孫中山. 1920年11月在上海國民黨本部會議. 孫中山全集第5卷. 中華書局. : 474  （中文（台灣）‎）. ^ 孫中山. 1920年11月在上海國民黨本部會議. 孫中山全集第6卷. 中華書局. : 24  （中文（台灣）‎）. ^ 孫中山. 1920年11月在上海國民黨本部會議. 孫中山全集第9卷. 中華書局. : 241–243  （中文（台灣）‎）. ^ p.11....the state tried to unite different ethnicities in the construction of a grand overaching Chinese or Zhonghua race, thereby promoting a new form of nationalism with racial overtones. 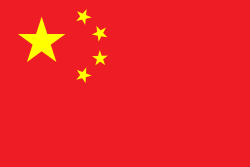 Since Mao's death in 1976, a key term in the socialist lexicon, 'the Chinese People" (zhongguo renmin), has been gradually replace by a new expression, 'the Chinese nation' (zhonghua minzu), with the critical substitution of the term renmin - a neutral reference to the inhabitants of China as a country and a state - by the term minzu, which refers more directly to enthnicity. The fact that minzu has now effectively replaced renmin in much official discourse confirms the rising importance of local identity politics in the contemporary construction of Chinese nationalism. Anne-Marie Broudehoux. The Making and Selling of Post-Mao Beijing. Taylor & Francis Group. 2004 [26 November 2012]. ISBN 978-0-415-32057-3. ^ p.180 .....The CCP, this chapter contends, is losing control over nationalist discourse. Under Mao, the Party cliamed that because it had successfully led the revolutionary massess ... the Party and the nation were fused into an inseparabe whole. Only communists, in other words, could be genuine Chinese nationalists. Under Jiang Zemin and now Hu Jintao, however, the CCP's nationalist claims are increasingly falling on deaf ears. Popular nationalists like Jin Hui now speak regularly of the "Motherland" (zuguo) and the "Chinese race" (Zhonghua minzu) - without reference to the Party. And they care so deeply Peter Hays Gries; Stanley Rosen. State and Society in 21st Century China: Crisis, Contention and Legitimation. Taylor & Francis. 2 October 2012 [26 November 2012]. ISBN 978-0-415-33204-0. ^ 新華網. 中國56個民族. 中國政府網. 2006年4月17日 [2010-06-18] （中文（中国大陆）‎）. ^ 66.0 66.1 "呼聲：確立中華民族的「國族」地位" 互联网档案馆的存檔，存档日期2016-03-04. 中華通史. 台灣: 黎明文化事業公司. 1981年. ISBN 7536023200 （中文（台灣）‎）. 芮逸夫. 中國民族及其文化論稿，上冊. 台北: 藝文印書館. : 4  （中文（台灣）‎）. Hughes, Christopher. Taiwan and Chinese nationalism: National identity and status in international society. London: Routledge. : 3 . ISBN 0415157684 （英语）. （简体中文） 中國56個民族. 中國政府網. 2006年4月17日 [2010-06-18]. This page is based on the Wikipedia article 中华民族; it is used under the Creative Commons Attribution-ShareAlike 3.0 Unported License (CC-BY-SA). You may redistribute it, verbatim or modified, providing that you comply with the terms of the CC-BY-SA.